I’ve tried waffles before, but I’ve never tasted anything as angelically wonderful as the waffles at Waffle Cafe Orange. 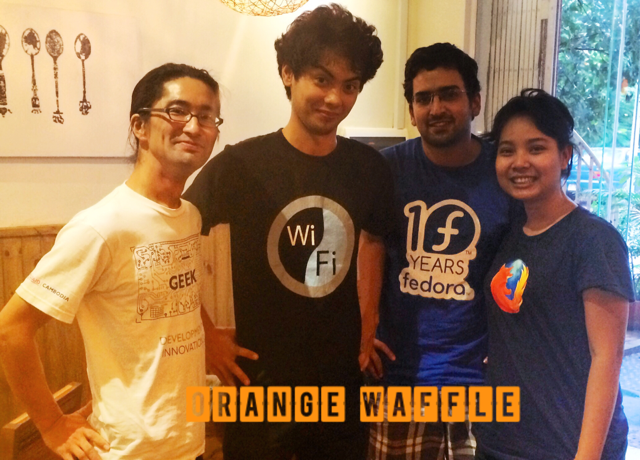 I was introduced to Waffle Cafe Orange by a Japanese American friend, Akira Morita, who has recently moved to Cambodia with his wife and son, and runs MODI events for his design initiative. 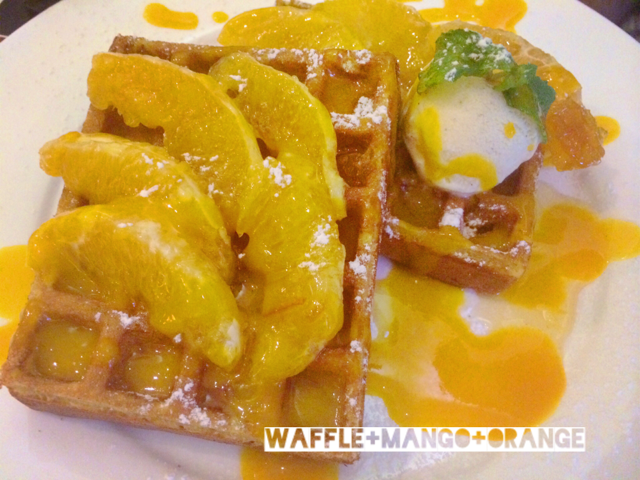 Waffle Cafe Orange is located at #61, Street 63 (Trasok Pa-em) in Beung Keng Kang I area. The cafe is small enough to accommodate close to 20 people, I assess. 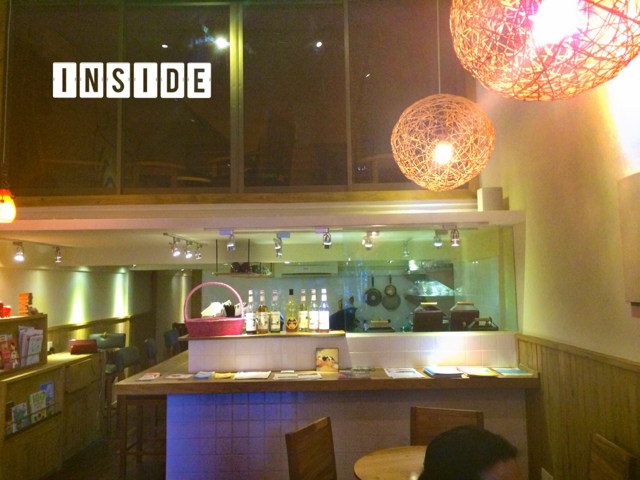 The wooden chairs are pretty comfortable, but you won’t find padded ones like other cafes near there. As soon as we were seated, I started browsing through the menu. 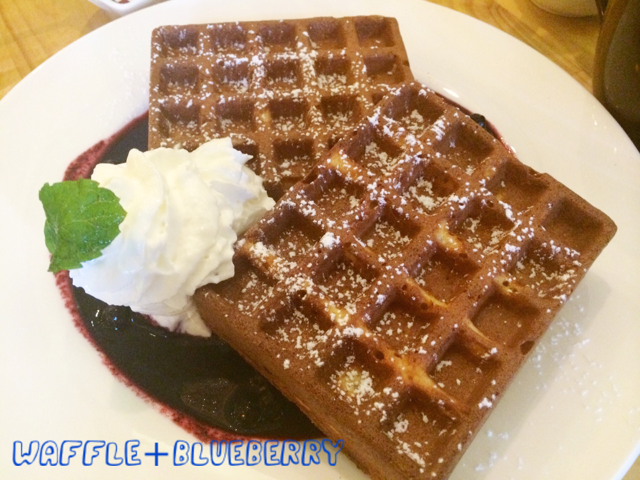 I did not hesitate to order “Waffles with BlueBerry”. I rarely hesitate to eat or drink anything blueberry. 🙂 Another friend of mine ordered “Waffles with Mango and Orange” added with a little ice cream on top. One thing I really like about waffles here was that they didn’t taste too sweet. I like the combination and the moderate amount of syrup on the plate. Of course, I finished my Waffles pretty quickly. I liked the arrangement such as the cream on the top and the not-so-sweet blueberry! Akira, Antoine, Anirudh, Kounila (Left to right). Don’t get confused. We didn’t inform each other about this in advance. We happened to wear these cool T-shirts by chance. We’re self-proclaimed geeks! Antoine considers this cafe as his office and likes working on his assignments there. 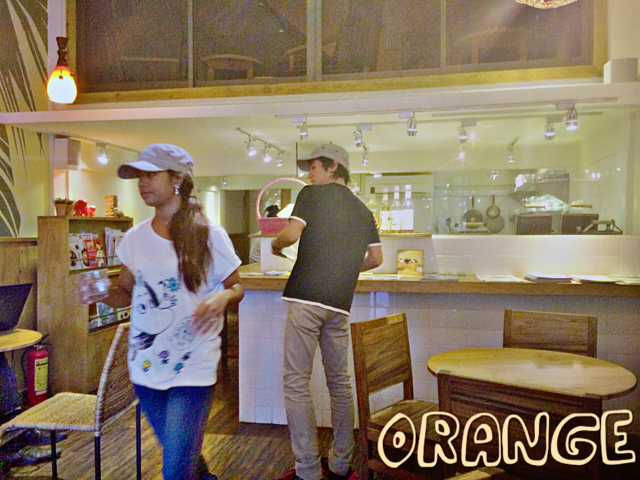 I also like the quiet and peaceful atmosphere of the cafe. 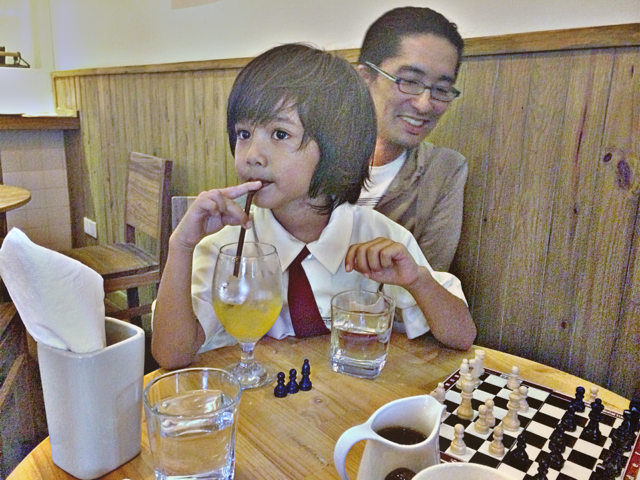 My visit to Waffle Cafe Orange was so much fun because of the little Kush. Don’t forget to bring your family there to enjoy waffles and good drinks. Note: The average price of waffle at the cafe is 3.50 USD.